If you were hoping that Apple would unveil an updated version of its popular AirPod headphones at its press event on Tuesday, you were out of luck. The company used the event to refresh its lineup of iPad Pro tablets and to finally update its ageing Mac Mini desktop and MacBook Air computers. But despite rumours and reports circulating before the event, it didn’t launch a new set of AirPods. And that wasn’t all that the company left out. Although Apple has held two press events in the past two months to showcase updates and show off new products, it’s left a slew of notable gadgets in its lineup untouched or unannounced. That’s a good indication that those products won’t come out this year. Apple generally holds no more than two fall press events, and sometimes only one. Whatever significant products it planned to launch this year almost certainly would have been announced at one of those two events – though Apple could, of course, still have some surprises up its sleeve. Maurizio Pesce/FlickrApple’s wireless AirPods have been a big seller for the company. Apple’s wireless AirPods have been a smash hit. But the company reportedly has some new versions in the works. 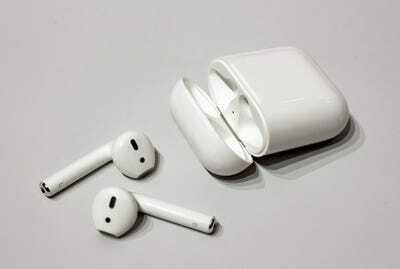 Apple is also said to be working on a waterproof version of the headphones. 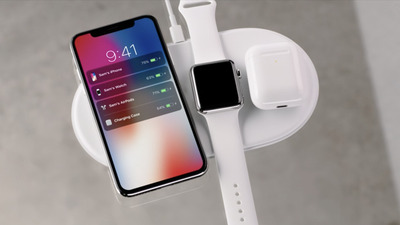 AppleApple’s AirPower mat was supposed to be able to recharge an iPhone, an Apple Watch, and its AirPods all at the same time. Apple unveiled AirPower, a mat that is designed to wirelessly recharge up to three devices at once, last year. Originally, the company said it would launch AirPower sometime this year. But Apple has said little about the device since first unveiling it. In June, Bloomberg reported that Apple was running into serious engineering problems with the device. The company not only didn’t mention AirPower at either of its two fall events this year, but it wiped nearly all mention of the gadget off its website. AppleThe current iMac design dates to 2012. Apple upgraded the internal components of the iMac last year and introduced the new high-powered – and extremely pricey – iMac Pro model last December. But it hasn’t given the all-in-one desktop a thorough design overhaul in five years. Reports, rumours, and speculation have suggested that Apple is planning on doing just that. 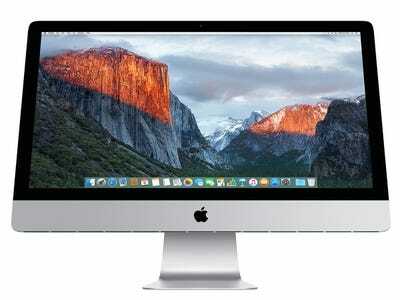 Frequently in-the-know Apple analyst Ming-Chi Kuo has suggested that the new iMacs will have improved displays. They also could include Apple’s FaceID facial-recognition technology, and almost certainly would come with upgraded chips, likely Intel’s latest. AppleThe MacBook doesn’t compare favourably to the new MacBook Air. With the unveiling Tuesday of a new MacBook Air, Apple’s MacBook looks even more overpriced, underpowered, and lacking in features than it did before. There haven’t been a lot of rumours Apple upgrading its consumer laptop, but if it chose to do so, it need look no further than the MacBook Air. That computer has two USB-C ports; the MacBook has only one. It also has a larger screen and a faster processor than the MacBook, and a TouchID fingerprint sensor, which the MacBook doesn’t have. 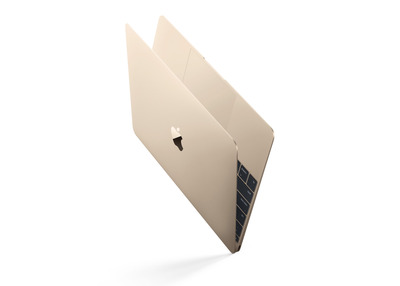 And the MacBook Air starts at $US1,200, which is $US100 less than the cheapest MacBook, although the latter does come with a larger flash drive. Justin Sullivan/Getty ImagesApple hasn’t updated its Mac Pro computer in nearly five years. Apple officials have said the company wouldn’t release the next version of its professional desktop computer until next year. Until then, creative professionals’ only choice for a Mac workstation are the iMac Pro and a computer the company released when Donald Trump was still best known as a reality-TV star. 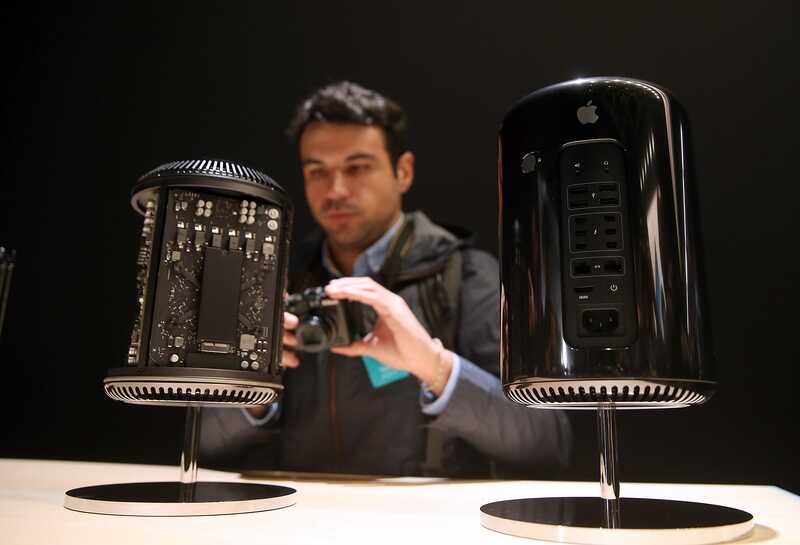 There was some speculation that Apple might give at least a preview of the new Mac Pro device this year. No such luck.